The U of C placed fifth this year in the U.S. News & World Report’s college rankings—the highest position it has ever held—sharing the spot in a five-way tie. The U of C placed fifth this year in the U.S. News & World Report’s college rankings—the highest position it has ever held—sharing the spot in a five-way tie with the University of Pennsylvania, California Institute of Technology, Massachusetts Institute of Technology, and Stanford University. 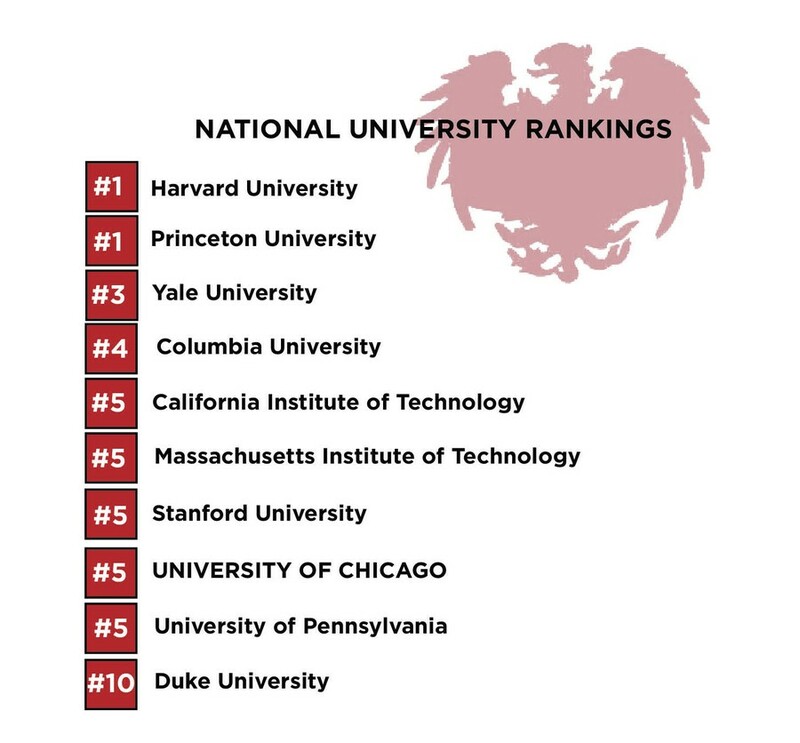 The 2012 report, released earlier this month, ranked Harvard and Princeton as the top research universities in the nation, followed by Yale and Columbia in third and fourth, respectively. The U.S. News rankings considers factors like alumni giving, student retention rates, and the volume of applications: a number that skyrocketed at the U of C last year. Current students said that the school was finally getting the national recognition that it deserved. “I honestly think we’re the best school in the world, and we’re casting a wider net to a broader audience,” said fourth-year and SG President Youssef Kalad. Second-year and Vice President for Administration Forrest Scofield said that when he graduated high school, many of his friends had never heard of the University of Chicago. As the University climbs higher in the U.S. News rankings, Scofield believes more and more people will hear about the U of C.
“The University has been undervalued for a long time,” Scofield said.